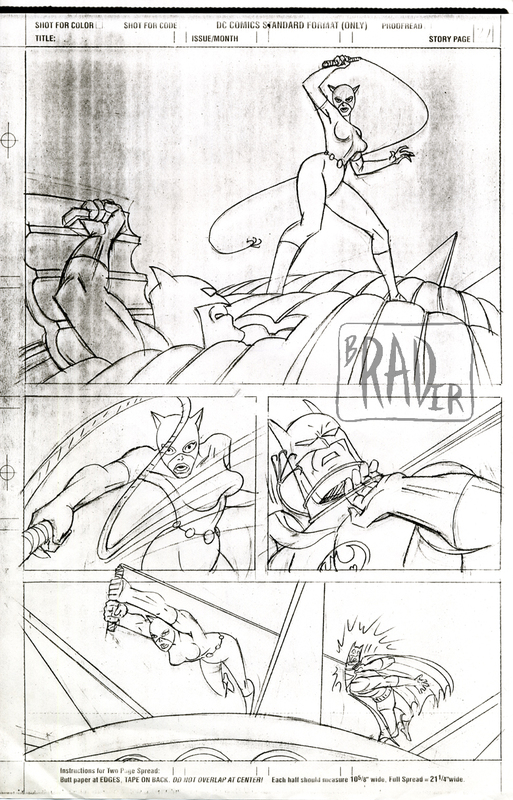 I found this drawing in the same file as the artwork for Gotham Adventures #33. I don’t recall doing it. Given where it was stored, it must have been done in 2001, possibly as a try-out for the Catwoman book, which was available after Darwyn Cooke left it to develop “The New Frontier”. This drawing is a re-do of one of the climactic panels from “Batman: Born on the Fourth of July” which I had illustrated for DC’s special projects division back in 1994. 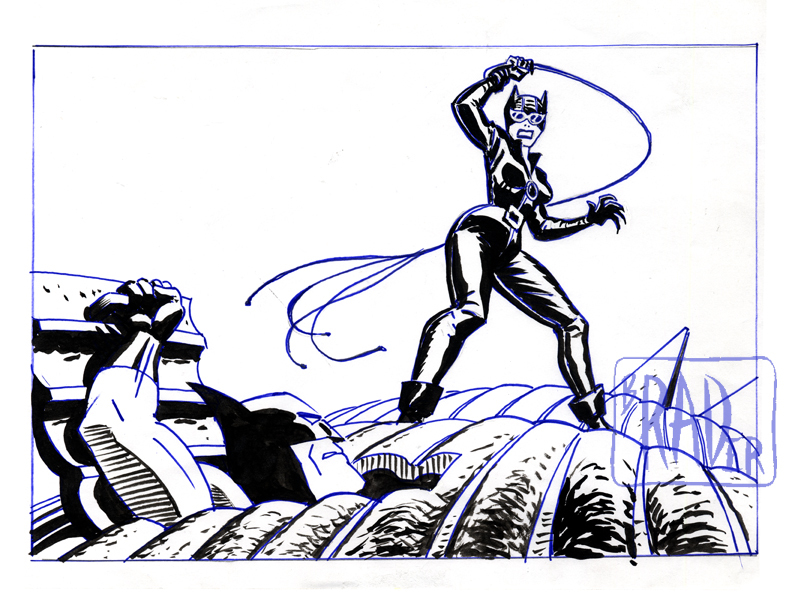 The primary difference between this illustration and the panel in BBotFoJ is that Catwoman is drawn in the (then) new costume designed by Darwyn Cooke rather than the (then) old one designed by Bruce Timm.